The Wine Gang is thrilled to be bringing their "not-to-be-missed" Wine Festival to Birmingham. 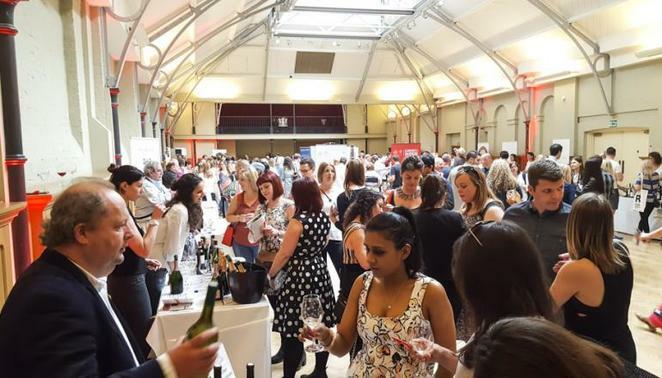 The event was a huge success in Edinburgh, Bath, London and Leeds, now, it's Birmingham's turn to taste over 200 wines on October 7th at The Canalside in The Cube. If spending the day sampling several different types of wine appeals to you, then this event is not to be missed. Take in views of the canal in this exclusive new venue while you take in a Wine Walk or a Pop-Up presentation fronted by one of the UK's best-loved wine critics - all included in the admission price. You can sign up for a Wine Walk or join a Pop-Up Presentation free of charge, or simply take the event at your own pace if you prefer. All samples are included in the ticket price. From Champagne to Bordeaux to the New World and emerging regions, there are wines to suit every palate and every wallet. There will also be exclusive offers available on the day so that you can stock up your wine racks ready for winter while making great savings. What's not to love? And if you don't already know The Wine Gang, please stop and have a chat with them on the day. Joanna Simon, Anthony Rose, Jane Parkinson and David Williams are four of the UKs best-known and best-loved wine critics. They'll happily point you in the direction of their favourite wines, answer questions, or pose for a selfie with you!